Cultural places in the Berkshires like Tanglewood, Mass MoCA, Jacob's Pillow and the Williamstown Theater Festival have traditionally stolen the headlines as the stars of this picturesque region, but the locavore food and drink movement is shifting the spotlight. Cultural places in the Berkshires like Tanglewood, Mass MoCA, Jacob's Pillow and the Williamstown Theater Festival have traditionally stolen the headlines as the stars of this picturesque region, but the locavore food and drink movement is shifting the spotlight. Artisan butchers, brewers, distillers, coffee roasters and Brooklyn chefs have set up shop here to take advantage of the local bounty and are bringing an urban vibe to rural Western Massachusetts. Take a long weekend to explore what the region has to offer with this guide from Find. Eat. Drink., which includes eating & drinking recommendations from local Berkshires chefs. CIA-grad chef Jeremy Stanton worked in kitchens in the Berkshires, Florida and New York before opening his butcher shop and cafe, which offers heritage breed animals sourced from small independent Berkshires farms. They sell custom-cut meats, as well as house-made charcuterie, grass-fed burgers, sausages, sandwiches and pig face tacos to take away or have lunch there. Chef Brian Alberg of The Red Lion Inn, who does his own in-house butchering, has a lot of respect for fellow chef Stanton. 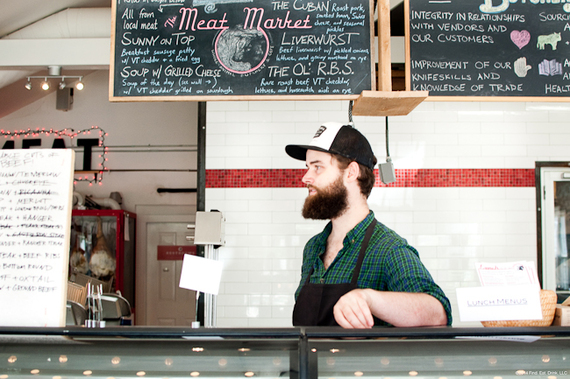 "Everything is locally sourced at this nose-to-tail butcher shop and cafe. 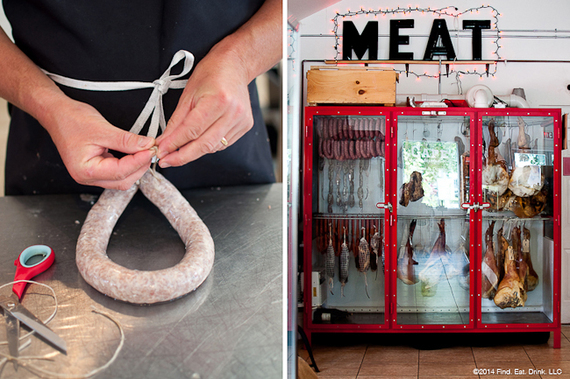 They buy directly from the farmers within a 100-mile radius and their products and charcuterie are delicious. The lunch specials here are always great." 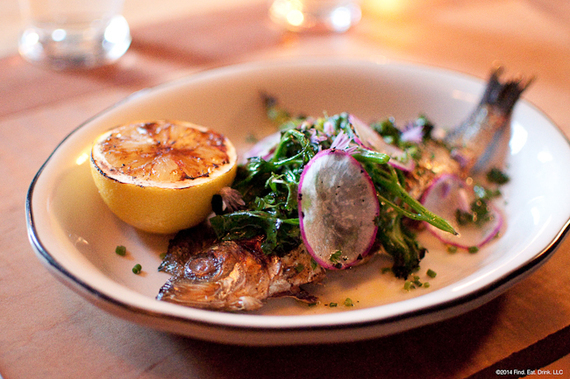 Chef Stephen Browning of Prairie Whale calls this one of his favorite places for lunch. "The food is super good and simple. I get the liverwurst sandwich or the Cuban sandwich and their sausages. Sometimes, they have slow-roasted goat on the menu." Restaurateur Mark Firth was one of the pioneers in the Brooklyn restaurant scene, first with Diner in Williamsburg, followed by Marlow & Sons, Roman's, Reynard and Achilles Heel. Former Marlow & Sons chef Stephen Browning was brought up from the city to cook at Firth's farm-to-table restaurant Prairie Whale. Chef Daire Rooney of Allium Restaurant + Bar recommends coming here for brunch. "I love the relaxing atmosphere and chef Stephen Browning's great fresh vegetable-and-egg pairings, polenta, house-made sausage, poached eggs and killer scones." Chef Flavio Lichtenthal worked at Al Di La Trattoria in Park Slope, but had a second house in the Berkshires and now lives here full time. He and his wife, Lisa Landry, have opened up a cafe, coffee roaster, tea house, artisanal food shop and art gallery in a former train station in West Stockbridge. Chef Scott Cole (of The Monterey Store) used to be the chef at Pomo d'Oro, which was located in the same building that now houses Six Depot and likes to drop by for coffee. 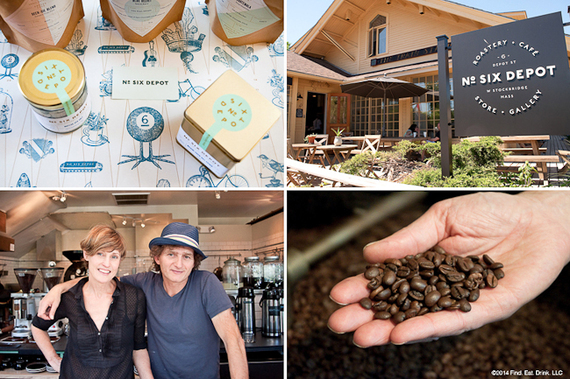 "I love their coffee blends and I like the Seck-Sie in particular. I stop in for the Shakerato. It's espresso with a little simple syrup and then shaken in a cocktail shaker so it gets an amazing crema." Bjorn Somlo is the chef of Nudel in Lenox. Before opening his small cafe with an ever-changing menu based on farm-fresh ingredients, he worked locally at John Andrews in South Egremont and at Applewood in Brooklyn. Chef Stephen Browning of Prairie Whale sources from many of the same farms as Nudel but compliments Bjorn for his unique style. 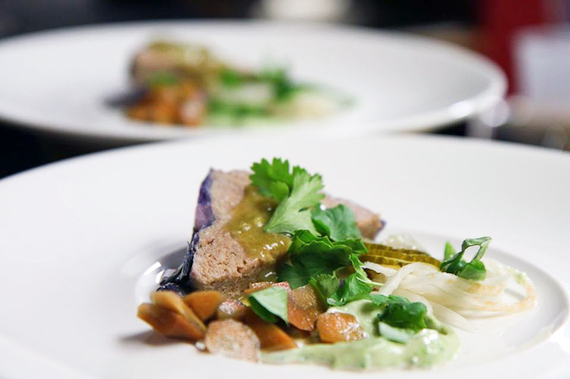 "He creates small plates that are modern, rustic, and funky. He's very inventive." Chef Dan Smith of John Andrews recommends sitting at the open-kitchen counter to watch Bjorn cooking. "He has a die-hard commitment to seeking out local products and he has such a great technique. His food is consistently fresh from the farm, interestingly prepared and delicious. The atmosphere is alive, yet totally relaxed." Brewmaster Chris Post was a Manhattan Wall Street trader whose life changed one afternoon when he was online daydream surfing and found the contents of a Michigan brewpub for sale on eBay. Post bought the equipment, left his job and learned the ropes of the brewing business working at Chelsea Brewing Company and Greenpoint Beer Works. 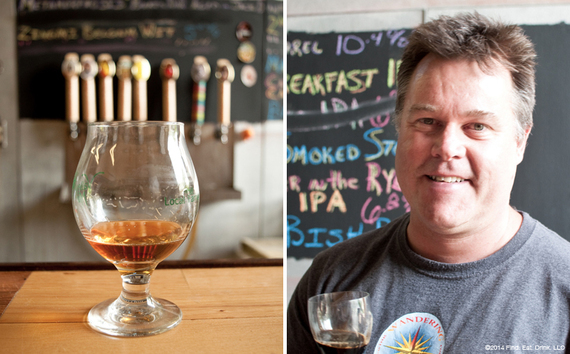 His beer can be found in pubs and restaurant in the Berkshires and all over New York City. 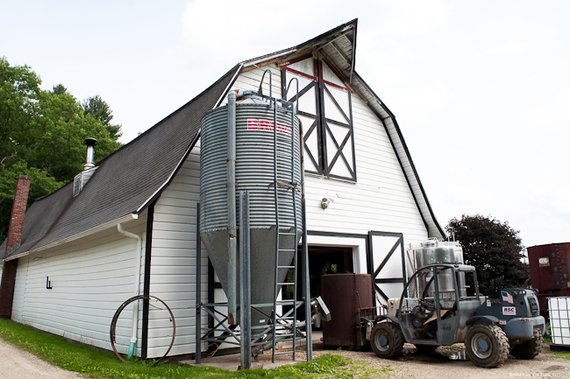 Since 2007, founder Chris Weld has been making award-winning craft spirits out of an old barn on his property in Sheffield. 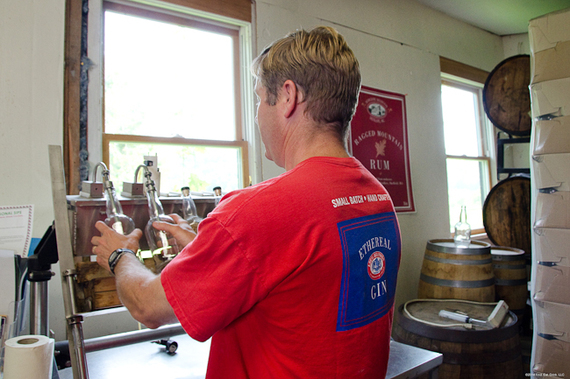 Weld's artisanal spirits include Greylock Gin, Ethereal Gins, Ragged Mountain Rum, Ice Glen Vodka, Berkshire Bourbon and New England Corn Whiskey, which are available in 19 different states. You'll also see his spirits on the shelves at highly regarded cocktail bars like PDT in Manhattan's East Village. Visit his soon to be opened new distillery and retail location. Restaurateur and mixologist Nancy Thomas of Mezze Bistro + Bar is a fan of the limited edition Ethereal Gin. "It's made locally and it's delicious with a pine-y quality." Want more eating and drinking recommendations in the Berkshires? Get the full guide with insider recs from chefs, bartenders, sommeliers and restauranteurs. 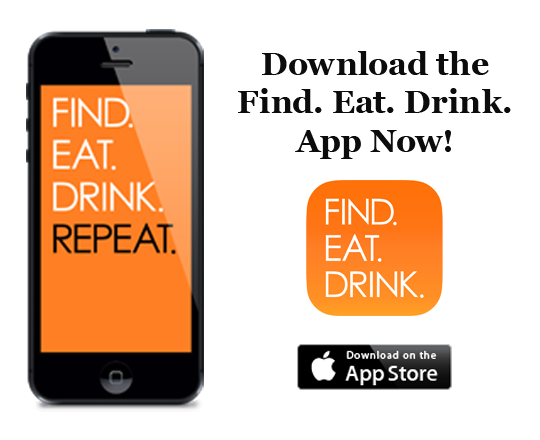 Download the Find. Eat. Drink. iPhone app here.